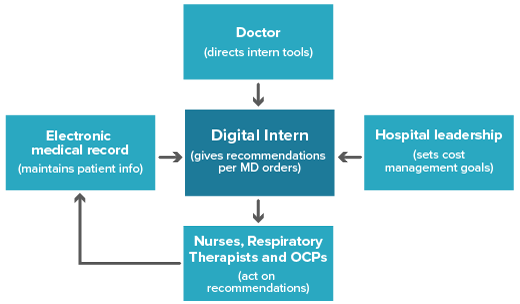 The Digital Intern is available for use by Organ Procurement Organizations in a beta format. Contact us to get started today! The Digital Intern iPad application enables OPCs to take the power of the Digital Intern with them wherever they go. 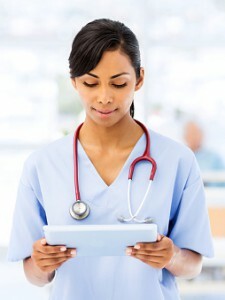 The iPad application requires patient data which can be obtained through manual data entry or an interface with your medical record software. The Digital Intern includes a web interface for administrators to configure the application to fit the needs of their organization. The web interface also provides access to administrative reports and historical patient information. In addition to the Digital Intern software, there is a comprehensive order set available to ensure all necessary labs, procedures, and medications have been ordered functioning as a comprehensive checklist. For DCD patients, pain and agitation management is included in the order set. Use of the order set with the Digital Intern software ensures that everything the Digital Intern recommends has been authorized by an order signed by the appropriate provider (OPC or physician, per your policies). Our initial algorithms were developed specifically for organ donors and organ procurement organizations. The measurement for success was the number of organs recovered and the cost to recover them (from the standpoint of critical care time billed), compared between the control year and the treatment year when the Digital Intern was operational. The organs recovered per donor (excluding research) were 2.83 in the control year and 3.54 in the treatment year. The results were statistically significant (p<0.0359). In the control year the critical care hours billed averaged 5.9 per donor and 2.3 in the treatment year. These results are statistically significant (p<0.001). and produced cost savings that averaged $2685 per donor. The Digital Intern is designed to manage complex patients with adaptive algorithms that respond to the patient’s physiology. It is fast, effective, and efficient. Future iterations are in development to extend care to other patient populations where defined metrics can be used to optimize medical management. In the meantime, the critical care physician has no worry of being sidelined and is certain that all of the patients are receiving appropriate levels of care reflecting the known best practices.